Last week has been very exiting for many reasons. I addended SLUSH17 startup event in Helsinki, where 20000 people met to pitch their business ideas and to find investors to make them real. It was actually weird to notice how differently entrepreneurs think. We researchers are extremely conservative sometimes. Maybe that’s how it should be. But perhaps we loose a little bit the big picture. We typically focus on a tiny part of a much larger problem to solve and we should try to keep in mind why we do what we do. So what was a researcher like me doing at SLUSH17? Well, since I am always looking for new applications for atmospheric satellite data, I though to go and see what people outside academia are thinking. Looking for inspiration, basically. I got an academic pass and I went on listening pitches and speeches covering the most different topics. 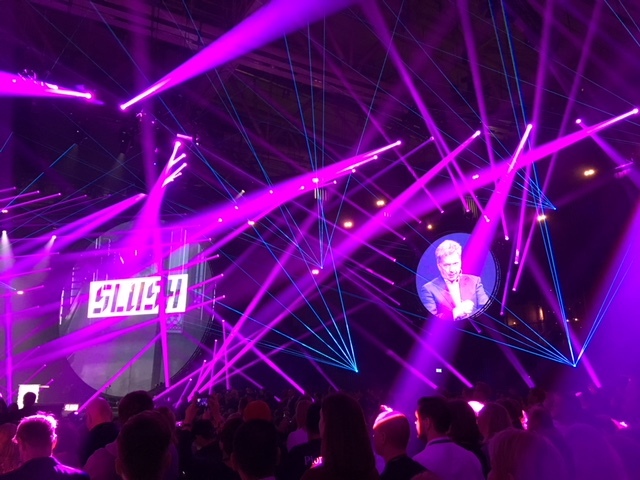 The event started with some nice words from the Finnish President Niinistö and with a present from the SLUSH community to Finland for its 100 years birthday: the hashtag #BragForFinland. Finnish people are typically know for being too modest and it might be useful to learn something about self-celebrating. A very interesting speech came also from Al Gore, that covered something really close to my work. He spoke about the climate crisis and all the tools that we have now to respond to this crisis. He encouraged entrepreneurs to embrace this challenges coming from climate change and to be part of the solution. On the same day, TROPOMI’s first-light press conference also happened. 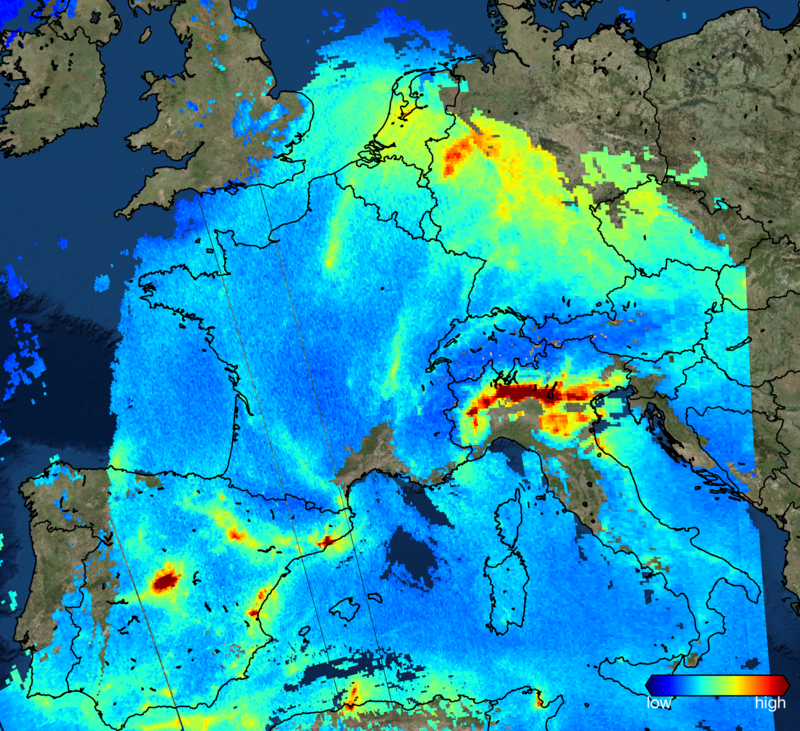 ESA came out with incredibly detailed pictures of air pollutants like for example this mind-blowing picture showing the NO2 levels in Europe for November 22nd. If you though OMI is great (and it is! ), this is now another level of greatness. 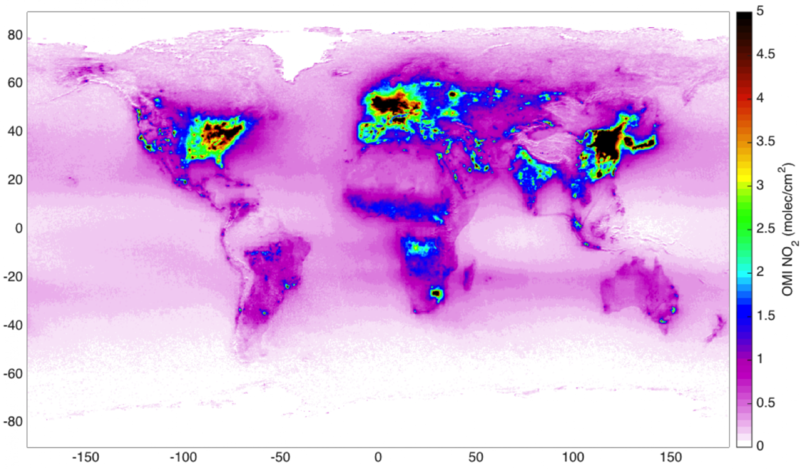 These new data will further revolutionize the way we monitor air pollution as they provide high definition global information on air pollution on daily bases. Looking forward to use Tropomi data for more and more applications.